Taking part in this empowering programme will help you deepen your practice and further develop and refine your teaching skills. This is the next step in your yoga education and is for any yoga teacher or trainee who wants to grow in confidence and skill. We are dedicated to offering all our students and guest teachers the space, opportunity and freedom to be the best version of themselves that they can be. We will do this by providing a top quality yoga learning environment with some of the best teachers from around Ireland and the world. This training builds on and develops further both your personal practice and your skills as a teacher. We offer you further ‘yoga tools’ to enrich your own lives and to make this world a better place through the sharing of the practice in the greater community. Take time for contemplation, planning and building the type of future that you dream of. Create a ‘real life’ strategy that aligns with your vision. Examine money, pricing, marketing and the whole enchilada. This course is a Post-Graduate programme for those who have completed an accredited 200 hour training programme, either at Ard Nahoo Yoga School or elsewhere. The programme format will mostly be 3-day modules when we start on Friday and finish on Sunday but there are also some 5-day modules where will cover 40 hours – starting on Wednesday and finishing on Sunday. There may be some exceptions, so please check the exact individual modules schedule for details (e.g. Graduation weekend and some guest appearances). All 5 day modules are 40 hours (Wednesday – Sunday 9am – 6pm). You will begin your +300 hours with 288 onsite/contact hours training over the year from March 2019 to March 2020. Please note that when you compare 300 hour courses it is wise to ask what are the contact hours. 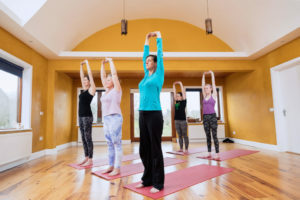 Many 300 hour courses have as little as 150 hours class room training as this is the minimum required if the course is registered with Yoga Alliance UK. Teaching: It is a requirement that you teach your own classes and workshops. Noeleen will support you with any issues or questions as they arise. This can be done by email or by phone. Project: Making an in depth study on a subject of your choice. Researching, writing and presenting your findings. Usually this takes the form of a 1.5-2 hour workshop which you present to the group and is open to the external Ard Nahoo yoga community. Principal teacher Noeleen Tyrrell will be joined by great teachers both from Ireland and around the world to deliver this exciting programme. This is a one of a kind opportunity to go deeper into your own practice and to bring your yoga education to the next level. Join us in this beautiful purpose built yoga environment enveloped by a landscape that invites inspiration, contemplation, awe and creativity. Modules can be taken as trainings in their own right and qualify for CPD points or as part of the whole programme. Jayendra began practicing hatha yoga and meditation a long time ago, and is amazed at how we continue to learn and grow in our practice, teaching, and in all of life. He is from the U.S., and has lived in Europe the last 12 years, where he has taught approximately twenty Immersions and Teacher Trainings in the Netherlands, Belgium, Switzerland, Italy, Germany, Spain, France, and England. 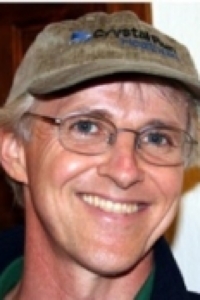 He lives in Amersfoort, the Netherlands, where he teaches at Bindi Yoga Studio. Since ASHY got started he has been assisting European teachers through the certification process, and for the last two years, he has served as co-coordinator of the Anusara Curriculum team. The group created an amazing curriculum for new 300-Hour Advanced Teacher Training. Since Anusara began in 1997, he has been studying the core elements of Anusara methodology, and it’s a pleasure to take that knowledge to the next level through the ATT. 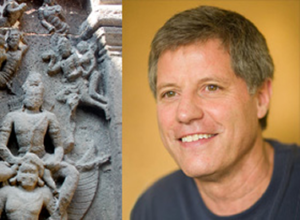 Also, as a student of Paul Mueller-Ortega’s Shaiva Tantra and Neelakantha Meditation, he really enjoy sharing the practice of meditation and the whole spectrum of yoga philosophy. Jayendra will be joining us at Ard Nahoo for the second Module in March, 27th-31st. 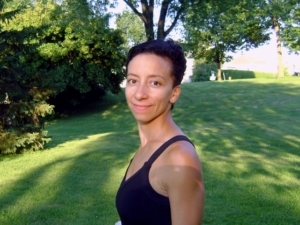 Jeannine will be joining us at Ard Nahoo for Module 3 : 24th -26th of May. Bill Will be joining us at Ard Nahoo for Module 4, at The Secret Heart Anusara Yoga Festival From the7th – 9th of June 2019. 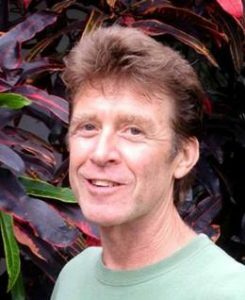 Jaye is an exuberant yoga teacher who is highly acclaimed and widely sought after for his expertise, enthusiasm, and spirituality. Loved for his heart and intelligence alike, Jaye gifts students of all levels with his bright spirit and his skill in communicating both the subtle and technical aspects of the practice. Jaye will be joining us at Ard Nahoo for our fifth module of this training in July 2019, 4th -7th. Upon satisfactory completion of the course, (including all projects listed above) and final exam graduates will receive a 300 Hour Anusara Advanced Teacher Training Certificate from Anusara School of Hatha Yoga. This course is registered with Yoga Alliance. Special student rate accommodation is available if needed. €35 per night if staying for one night or €30 per night for 2 nights or more (Please note: this is not regular eco-cabin rental and the same conditions do not apply). Please contact Ard Nahoo directly to book student accommodation as required.